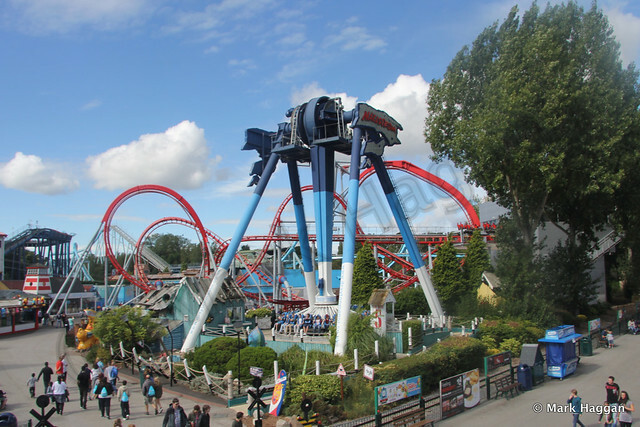 I wrote recently about the dinosaurs at Drayton Manor that we encountered on a trip to Thomasland, the Thomas the Tank Engine theme park within the Drayton Manor park. 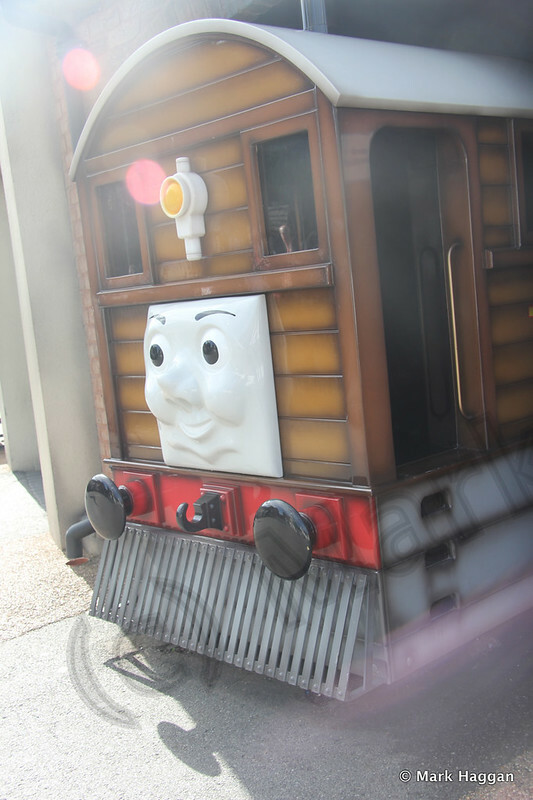 I should also say something about Thomasland itself. 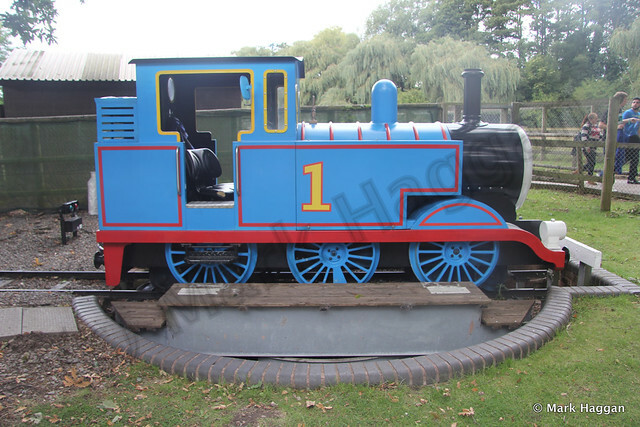 For the uninitiated, Thomas the Tank Engine is the most famous train from the Railway Series, a collection of stories started in 1945 by the Reverend Wilbert Awdry, and continued by his son, Christopher Awdry. The adventures take place on the fictional island of Sodor, which sits between the west coast of England and the Isle of Man. The name Sodor is taken from an Old Norse term for the Southern Isles, with the Bishop of the Isle of Man – in the real world – being formally known as the Bishop of Sodor and Man. Aficionados of the Railway Series will tell you that Thomas’ branch line runs between Knapford and Ffarquhar, part of the series of lines that make up the Sodor railway system. 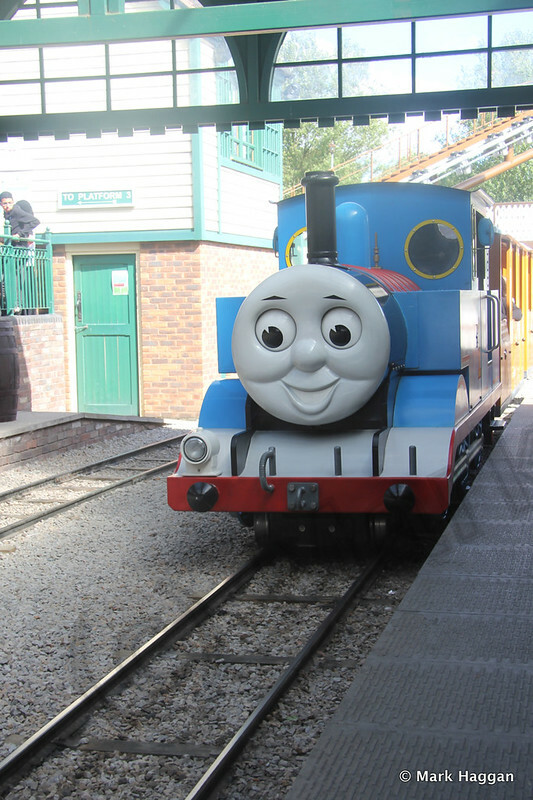 Thomasland has all sorts of rides for children of all ages, but the real attraction is Thomas and his friends. 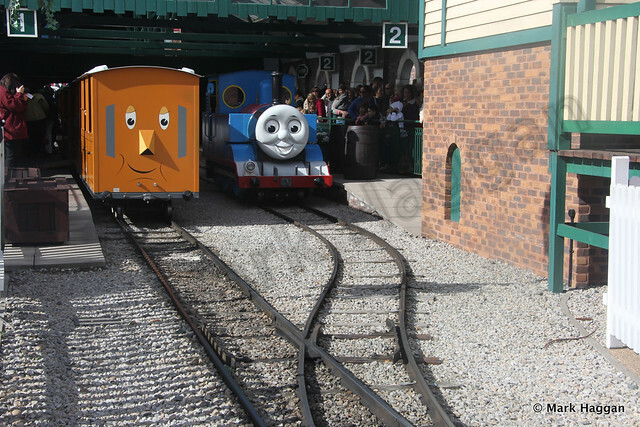 There is an opportunity to see Thomas himself in operation, and even to ride in the coaches being pulled by Thomas. 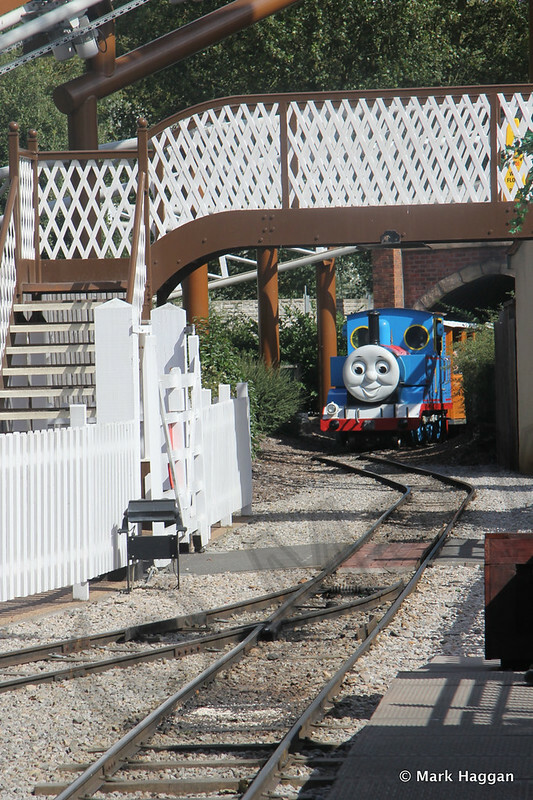 Thomas runs back and forward along a line, and has a turntable to allow him to face the right direction for each journey. 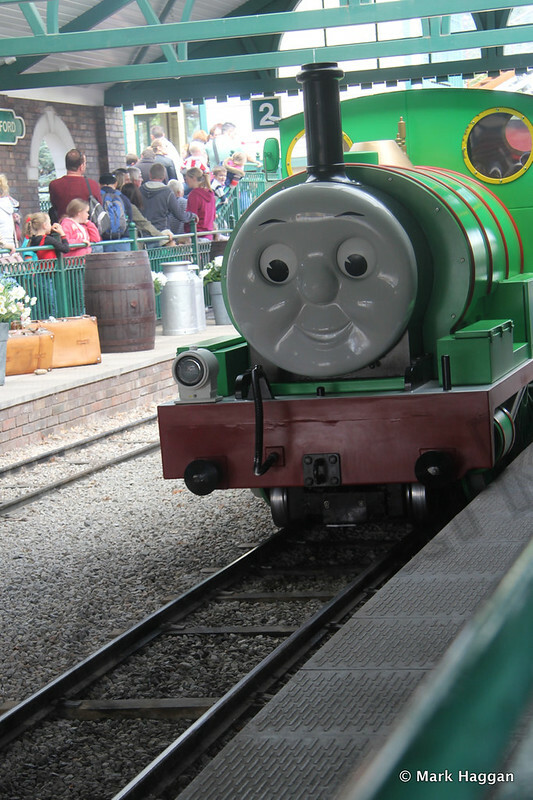 On the day that we were there, Thomas’ good friend Percy was sharing the workload on the line. We waited with excitement for the train that would pull our coaches arrive, and it turned out to be Thomas himself. As we passed through the countryside, we spotted Percy going in the opposite direction. 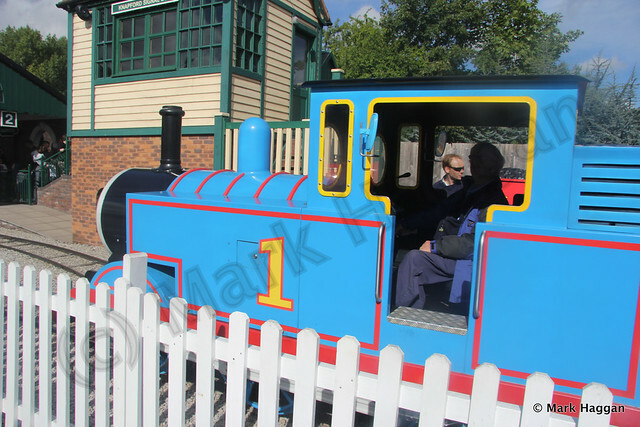 My nephew did seem pleased not just to have been at Thomasland, but to meet Thomas himself and even be pulled in a carriage behind Thomas. 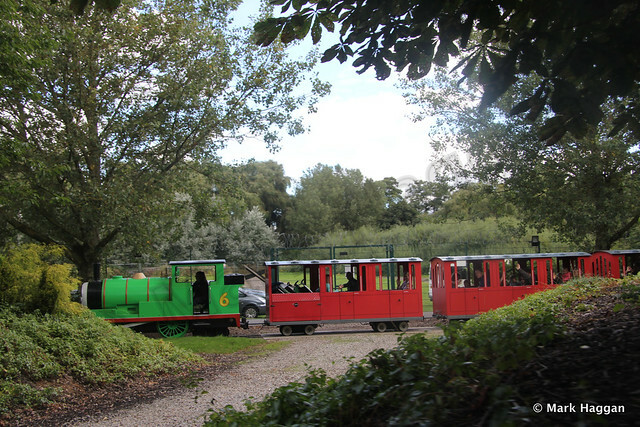 The other rides around the park allowed access to a number of the other characters from the Railway Series. 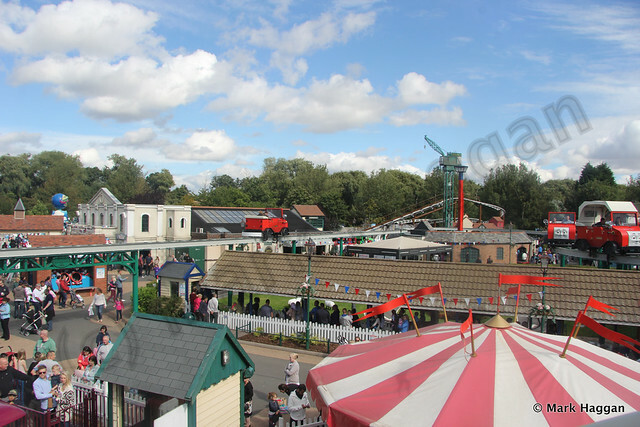 The rides that are higher up gave a good view over Thomasland and over the rest of Drayton Manor. 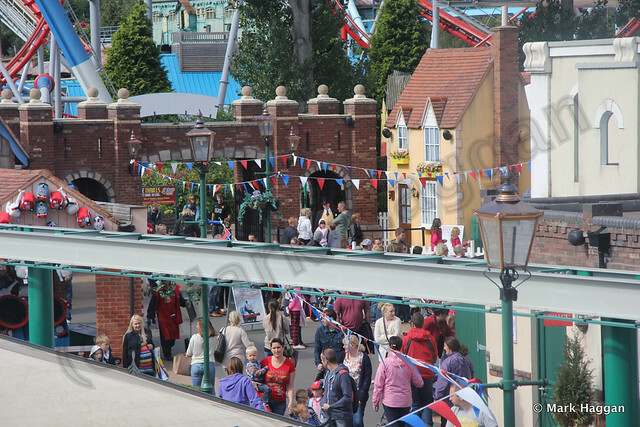 In the distance, we could spot The Fat Controller, one of the main characters in the series. The original Fat Controller, referred to initially as the Fat Director, Sir Topham Hatt, who was made a baronet for his services to the railways of Sodor. 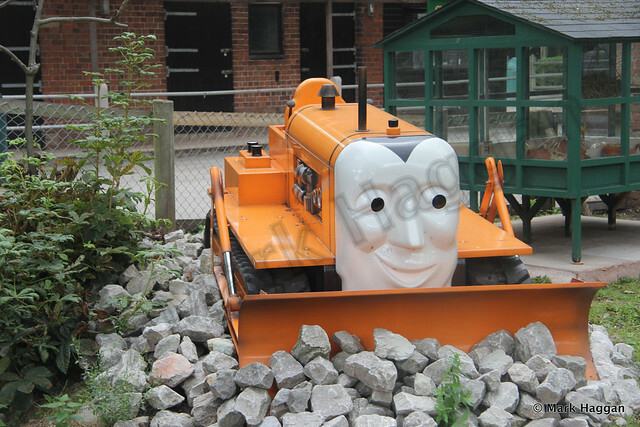 He was an engineer who was key to the construction of the Tidmouth, Knapford and Elsbridge Light Railway, currently the branch line served by Thomas. 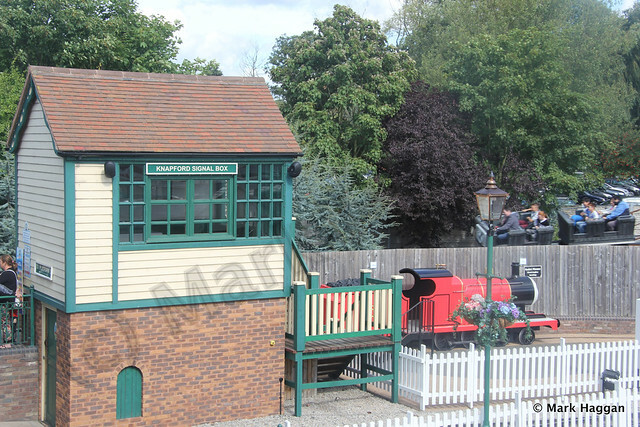 He was succeeded by his son, the second baronet, Charles Topham Hatt, a contemporary of Dr Beeching, but with a different approach, developing Sodor’s railways. The book Toby the Tram Engine introduced Charles’ son, Stephen, who in turn became the controller of the railway, and also the third baronet The fourth to take the title was Sir Richard Topham Hatt, who was interviewed recently, which you can read here. Each of the generations of the Topham Hatt family look alike. 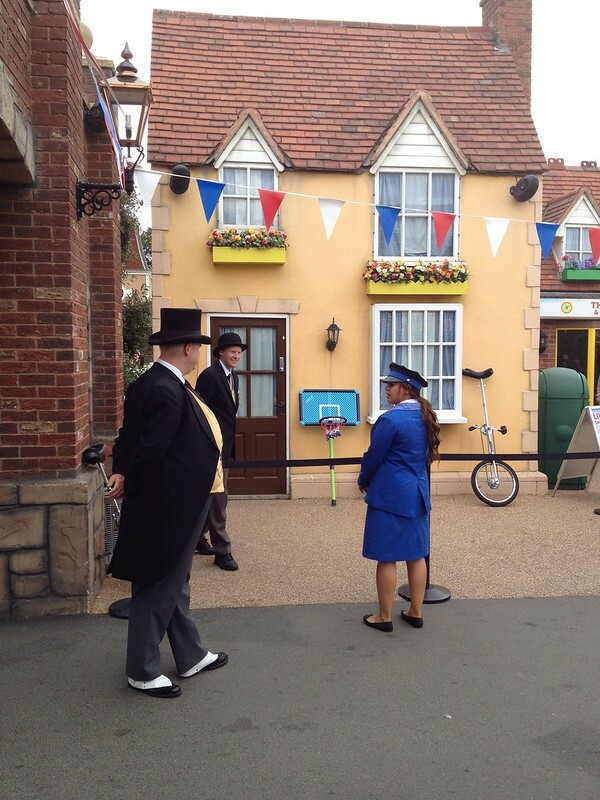 As we got off the ride and walked around we bumped into Sir Richard, who was inspecting the railway. The Railway Series is a huge international brand now, and the television series has been famously voiced by a series of household names, including Ringo Starr, George Carlin, Alec Baldwin and Pierce Brosnan. 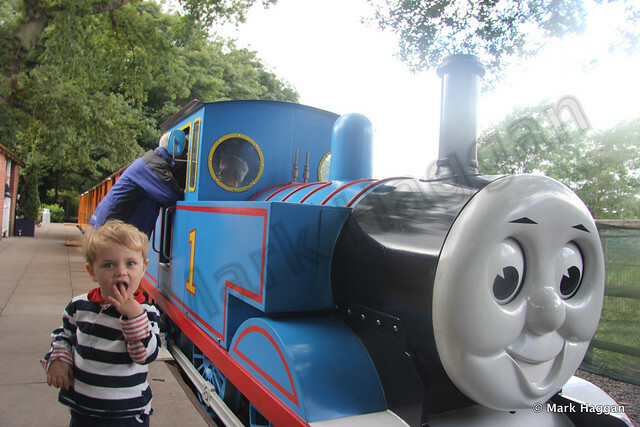 If you are a fan, or if your children are, then Thomasland is definitely worth a visit. I have to admit, this was not my first visit. Family & Friends, Travel, UK Drayton Manor, Thomasland. permalink.